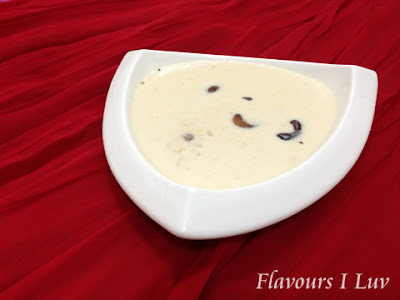 Ambalapuzha Palpayasam, the king of all payasams. The best thing is its simplicity, just three ingredients: Rice, Milk and Sugar. We can make this in home in a simpler way. Here I added Cashew and Raisins because I like it. It is not necessary. The exact taste, texture and the pinkish color of the Payasam comes from thickening of the Milk. There is absolutely no added flavors like cardamom. If you prefer you can add. Thank you Ruxana...keep in touch..